* Inspect, test, and sample materials or assembled parts or products for defects and deviations from specifications. * Observe and monitor production operations and equipment to ensure conformance to specifications and make or order necessary process or assembly adjustments. * Discuss inspection results with those responsible for products, and recommend necessary corrective actions. * Discard or reject products, materials, and equipment not meeting specifications. * Monitoring all the ISO relevant documentation. * Take part in ISO review. * Candidate must possess at least a Diploma, Advanced/Higher/Graduate Diploma, Others or equivalent. * Preferably Junior Executives specializing in Manufacturing/Production Operations or equivalent. 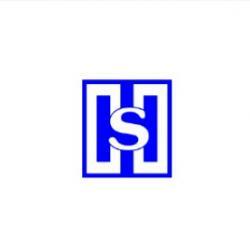 Solid Horizon Sdn Bhd is manufacturer of portable cabins, labour quarter cabins and PU cabins in constructions industry, as well suppliers of steel racking and steel scarffoldings in Malaysia. Falcon Safe Marketing Sdn Bhd is providing solutions for cash keeping, valuable items storage and documents protections. We manufacture safety box and cabinets with high technology safety elements.